2018 Dominar 400 collection available in 3 exciting colors: Rock Matte Black, Canyon Red, Glacier Blue. All come with unique Gold Dust alloy wheels. The new colors are inspired from the terrains Dominar has dominated. 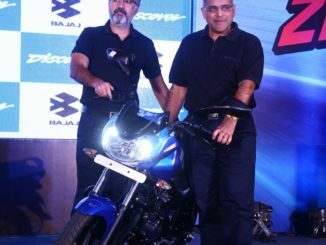 29th Jan 2018: Bajaj Auto Ltd, India’s leading motorcycle company, has introduced the Dominar 2018 collection with the launch of new 3 colours, Rock Matte Black, Canyon Red and Glacier Blue. The new collection comes with Gold Dust alloy wheels which gives it a special premium look. The 2018 collection should be a head turner and appeal to the riding enthusiasts with its striking presence. Dominar 400 has redefined long distance riding in India. Riders have taken it to punishing snow covered terrains of Spiti in winters which is beyond imagination for other peer group bikes. The latest in these accomplishments has been the Trans-Siberean Odyssey, where 3 riders covered 15000 kms in 53 days on their Dominars with no break down or part change on what is believed to be the world’s toughest journey. With its superior performance, control & technology, the Dominar transforms any ride into a hyper-ride. Its customers form a very active community of riders. The company encourages their passion for riding by organising weekend breakfast rides & long-distance tours. The impressive specifications of Dominar have been retained. Hyper-performance through 373cc DTS-i engine, hyper-agility from twin spar perimeter frame, hyper-control with twin channel ABS and hyper-technology of liquid cooling FI engine and LED headlamps come together to deliver the most talked about bike since its launch. 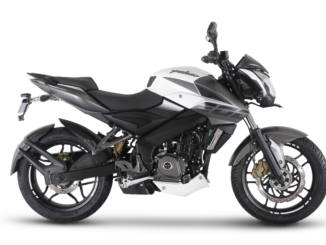 The new Dominar 2018 collection is now available across Bajaj Auto dealerships in disc variant at Rs. 1,42,109 & in dual channel ABS variant at Rs. 1,56,270 ex showroom Delhi.